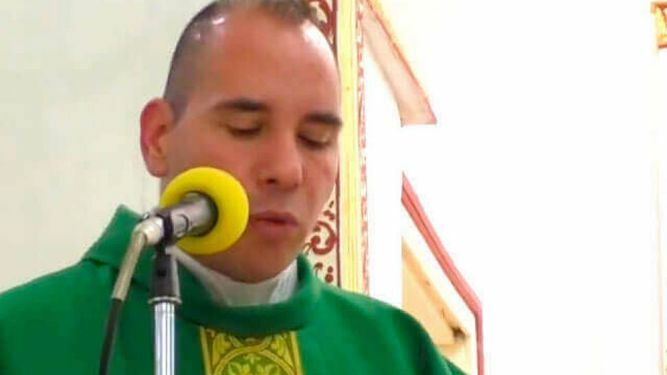 A Colombian man who pretended to be a Catholic years for 18 years has been arrested in Spain. After someone complained that he had forged his documents. He has been dismissed by the Catholic Church in Spain. Miguel Angel Ibarra presided over many sacraments through the years including weddings and baptisms. He first started in Colombia and then in southern Spain. Mr. Ibarra was never ordained. The Church explained those ceremonies will still be recognised, but not his communions or the confessions he heard. A "thorough investigation", was conducted and it was discovered that he had never been ordained and he has now been ordered to return to Colombia. Mr Ibarra moved to Spain last October, he lived in the town of Medina-Sidonia. This is not the first time someone has been caught in the act of pretending to be a Catholic priest. In 2008, a man who had not been ordained was found to be hearing confessions in St Peter's Basilica in the Vatican.